Arsenal injury news ahead Burnley game. Premier League side have received big boost from the medical staff as they revealed Francis Coquelin is set to return to action. 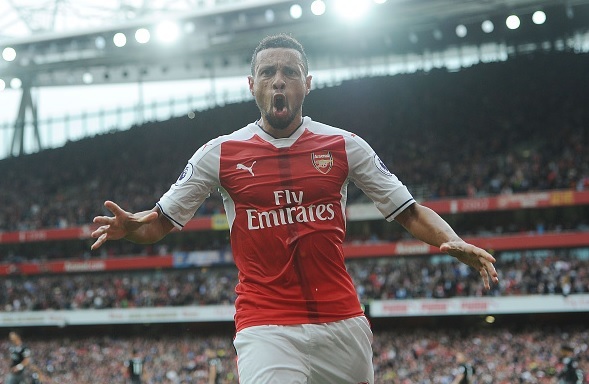 Arsenal have received big boost from the medical staff as they revealed Francis Coquelin is set to return to action. Coquelin picked up the knee injury last weekend while playing against Chelsea in a Premier League game. Arsenal manager Arsene Wenger revealed after Chelsea’s game that the injury looked similar to the last year’s injury and he could be out for three months. However, the recent reports have confirmed that the French midfielder has picked a minor injury and is set to resume training. Arsenal will travel to Burnley for a Premier League game this Sunday but Coquelin will not be taking part as the French boss is not likely to rush him. Wegner told that his knee ligament is not hurt so he will be back for the next week game. Arsenal will remain without Olivier Giroud and Aaron Ramsey for the Burnley trip. The boss updated on the Welshman who picked up the hamstring injury that he will be back after the international break. Granit Xhaka will get another chance to start alongside Santi Cazorla, he would be eyeing to impress the boss to cement his place in the starting eleven.